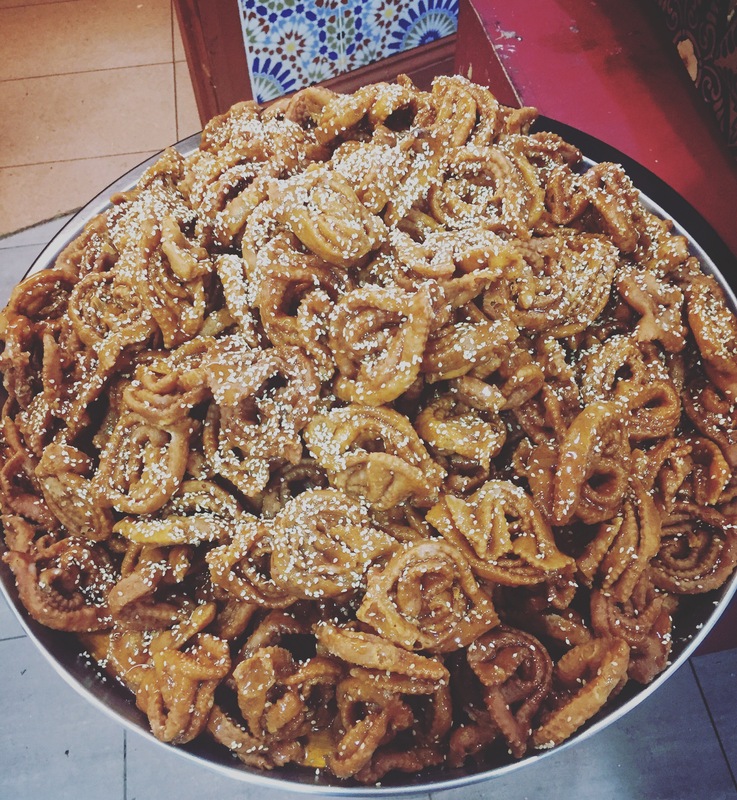 Today I visited one of my favourite bakeries in Shepherds Bush, Maison Sousse (read about it here), a necessary pilgrimage in the name of late pregnancy cravings for mountains of freshly fried chebakia (in the pic above), North African spiced honey & sesame cookies more commonly seen around Ramadan. Breaking fast (Iftar) in some parts of the southern Mediterranean sometimes sees lavish table spreads and lengthy meals that commence with dates, Harira soup and chebakia. My best wishes to those fasting on the hottest, longest days of the year in the ultimate test of faith and endurance. Ramadan Kareem to all of those to celebrate! 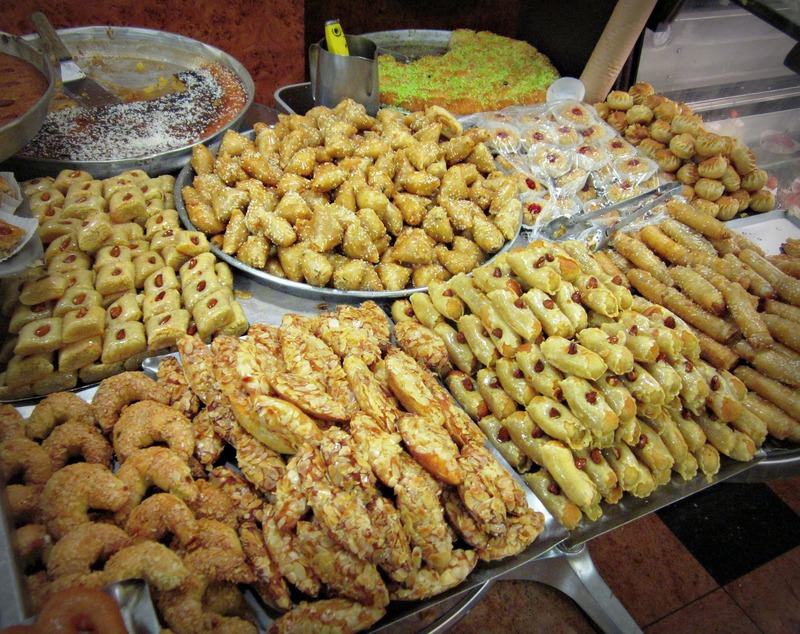 Honestly, some of the best Middle Eastern sweets I have found in London’s entirety.